– LazyCanadian at VCI 8 Feb 2013 12:24pm, image posted here. “UBC has gotten totally out of control. I graduated there a couple years ago, and it was getting a little ridiculous with the amount of construction, but now it’s even worse. When I visited for the first time in 2005, it was beautiful and was one of the reasons I wanted to go there. The whole campus is under construction now, and they’ve cut down massive parts on the endowment lands (a.k.a. woods) to build million dollar houses and condos (which is just what the generally poor students need). Posted in 12. Effects of Development, 15. Misallocation of Resources, 16. Missed The Boat? – Nationally speaking, they see a 10-15% overvaluation. – They openly admit that this national number is mostly be driven by Vancouver and Toronto, implying enough overvaluation there to significantly sway national numbers. – Patti recommends cashing out and is thinking about it herself. – Tsur seems to have given up on recommending metrics and now suggests “if you like it, buy it”. – Even though there’s no bubble, Canada will earn a feather in its cap by successfully engineering a soft landing. 2. The CBC financial roundtable discussion on The National [CBC TV] last night focussed heavily on debt. The same four folks appeared that were there last time. Patricia Croft kept insisting Canada would be the *only* country to engineer a soft landing in real estate. She said it twice. – Property assessment have increased 40% on west side. Increased perception of wealth, but doesn’t bode well for UBC. – Problems in recruiting and retention. Cannot recruit heads, Canada Research Chairs, Canada Excellence Research Chairs, due to housing problems. – Staff have problems too. – Blog – Visited universities with similar challenges (NYC, Columbia, Harvard, Irvine, …). Inquired at Stanford, Cambridge, Oxford. They are WAY ahead. Their bread and butter is competitive hiring. – Next steps – Discussion paper, ready by the end of March. – Prepaid to avoid developers marketing cost. Here are various options for campus development going forward. – Only for faculty and staff. – Claim: other universities that do this also give $30-$50k, so UBC is in the right ballpark. – Much of the on-campus housing is obviously empty. It is immoral to allow the general public to buy on-campus housing. – We need a community to make the campus interesting. The general public is an important part of that. – Revenues from the general public are important to the academic mission. This goes to support student housing, scholarships, academic bursaries, research chairs, etc. – Came 2005. Could not afford anything. Now have 3 kids. Live in rental housing. Biggest apartment they’ve seen is 1000sqft. – Housing prices have gone up 120% since then. – Does 20% below market value make a difference? 1.5m and 1.8m are the same. – Due to taxable benefit, 20% is the best we can do. – Yes, it’s important to look at the range of sizes. There is less range than there should be. – This is still under discussion. Your feedback is important. – The units are in the wrong market. There should be a “UBC-only market”. – If the market was limited to us, the price would naturally be what we can pay. – Lisa asserted that people want amenities on campus. Housing survey from last year says 83% value amenities. – “Faculty & Staff Housing” is really “Faculty housing”. Staff honestly cannot afford it. – 50% of his paycheck goes to housing. What percentage should people pay off their paycheque to rent? – 3% increase in rent. What is the justification? – Renters are treated as second-class citizens. – Definition of “affordability”: 30% of household income, assuming 10% downpayment, 5% interest over 25-year amortization. For renters, again 30% of household income. – Reminds about below-market rental housing. – Market rent: 1000sqft, $2500/mo is typical for west side. – We don’t want to go beyond the magical 20% discount that would trigger taxable benefits, that’s why we have to increase. – Further explanation on taxable benefits: if the discount from market rent were greater than 20%, you’d have to pay tax. – NYU, Irvine, Stanford, etc., all found ways around it. You see 40-50% subsidies there. – 20% discount is not enough. – Whether it’s 20 or 50% below market price, he cannot afford to buy, so he is stuck renting. – Has UBC lobbied city or province to control housing prices? – We’re starting to engage with the city. No specifics at this point. Bill Holmes, alumnus, lives in Hampton place. Income tax lawyer. – Regarding taxable benefits, the 20% cutoff doesn’t make sense. Even if one received a 50% discount and paid tax on the 30%, you’d still come out way ahead. – We haven’t heard how much money the board of governors is prepared to put into this. – There is not a firm line on 20%. – We’re still computing the costs of the options. – Our priorities are in competition with other priorities of the board. – Market housing goes to our endowment. – We have lost out on many hiring cases. – We missed a candidate from Irvine. – There are important tradeoffs between money from market housing to support academic mission. – Tradeoff between faculty/staff and endowment. – There are many universities which do not have land to support their endowment. – Using land to support endowment is a very short-term plan. – If we fail to attract faculty, the endowment is irrelevant as the land will go to the dogs. – Harvard has $40B, which has nothing to do with their land. – Faculty don’t even apply here. Why live in Vancouver when you can live in Austin and visit Vancouver every 2 months? – Claim that UBC was given this land specifically to support the endowment. We recently [2 Dec 2011] posted a quote from a CTV interview with Tom Davidoff, of UBC’s Sauder School of Business, and an e-mail exchange that followed. We have since found a very sensible and informative article published by Prof Davidoff regarding the California housing bubble, reproduced below. We aren’t aware of him writing a readily available analysis of Vancouver’s market, and would greatly appreciate seeing an account of his thoughts in this regard, given his experience with the US RE boom and bust. We suspect that, given his expertise, he could enrich and inform the online dialogue regarding our market. We’d welcome him posting something of this nature here at VREAA, but it’d be just as good to see it elsewhere on the web, or in a local paper, or publication. Is Vancouver RE in a ‘bubble’? What are the estimated risks of price corrections? How much could prices correct? Is it different here? If so, why? Us: What made this housing bubble different? Tom: We can compare the boom and bust cycle in housing in the late 1990s and 2000s to that in the 1980s. The increases and decreases were much sharper this time than the 1980s. This time around, I think it was more clear that there was a bubble. Where I disagree with some people is that it wasn’t the coastal areas like Orange County that made it clear — at least, after the fact — that there was a bubble. In the 1980s, the big price gains were in areas like the coasts where it’s hard to add new supply (there was an earlier oil boom and bust in some energy industry areas like Houston. Those “oil patch” markets are elastically supplied and I would guess the bust in prices was predictable). The problem with using prices in areas where it’s hard to add new supply to judge whether or not we’re in a bubble is that it’s hard to say what the right price of a home is in those markets, even relative to rent. Was there a bubble in the 1980s? In hindsight, hard to say yes, as if you bought a house in 1989 in New York or San Francisco and held it for 15 years you made out like a bandit. In markets like Las Vegas or Phoenix, or arguably most of the Central Valley and Bakersfield, in the long run you can build lots of new supply, and the location of new homes isn’t much worse than the location of existing homes. You don’t have the same downtown or ocean premiums in those markets. So when prices get far away from the cost to build new homes in markets where it’s not hard to build new homes, you start to suspect over pricing. Like a lot of other economists, I personally didn’t suspect an impending bust probably until sometime in 2006. My problem was that I was too focused on the coastal markets. I wondered about Las Vegas, but felt like there was a world in which prices in places like Boston and coastal California were justifiable. I wish the Cassandras, who deserve credit for prescience, had been griping about Las Vegas instead of San Francisco. I think any economist who really gave prices in the relatively easily supplied markets serious thought would have been very worried as early as late 2004 and certainly mid-2005. Another difference is where the bad loans were. In the 1980s, I think largely because of tax laws and regulations, the bad loans and excessive pricing was largely on the commercial and rental residential side. In the 2000s, exotic owner occupied residential loans were also a problem. Us: If this bubble was different, will the recovery be of the unexpected variety, too? Tom: The recovery may be fast or slow. I can believe that we are at a bottom, and I can also believe that there will be a continuing wave of mortgage defaults on both the residential and commercial sides that could certainly lead to price declines of 10 percent or more in many U.S. markets. The massive number of owner occupied homes with mortgages much larger than current market prices, and even market prices in the foreseeable future, is different from anything at least since the Depression. In the long run, barring very rapid global warming, prices should not be below replacement cost in a lot of the “sand” markets where they currently are. So price below replacement cost would usually be a good signal for time for prices to start rising. The potential for mass defaults and an attendant second dip in lending and GDP makes that argument harder to swallow. Us: Are bubbles a quasi-natural economic occurrence that are going to happen in real estate every so often? Tom: “Bubble” is a tricky word. In markets where it’s hard to replace the existing stock, like the coasts, people will always value homes in large part based on what other people think they are worth. That means that prices can fluctuate a lot even without anything changing in the real economy. So I suspect coastal U.S. prices will continue to look like a roller coaster. Ditto stocks like google, masterpieces of painting, etc. Getting prices to move like that in places like Phoenix requires that both buyers and lenders are not motivated to consider the likelihood of huge losses. I hope we don’t see the lack of discipline in owner residential lending that allowed the giant bubbles in markets that should be disciplined by supply for a long time. Between the legitimate benefits to financial innovation and the political power of financial institutions, I suspect it won’t be too long before the next crazy price increases arise in some asset class. A guess is that it won’t be housing next, but housing will surely have another turn. By the logic of Willie Sutton, the money to be made in housing finance is too tempting to be ignored. Us: What policy changes could prevent such economic distortions in real estate, if any? Tom: I don’t think price volatility on the coasts requires much “economic distortion.” The problem in the real “bubble” markets of the 2000s was that both owners and lenders had the incentive to ignore the very real possibility of large losses. Both parties had valuable default options that left downstream investors and taxpayers on the hook for losses, so that only the upside mattered. For now, the market is probably self-policing. Once investors are no longer spooked, it may be necessary to (a) limit or tax high risk loans or (b) do a lot of work to make sure downstream investors are aware of risks and (c) force financial institutions to pay for the “too big to fail” burden that they place on taxpayers. I have gotten some hateful and threatening email from followers of your blog, so I thought it might be helpful to shed some light on the interview with ctv that you cite. I believe you have interpreted my comment on camera as answering the question: “what do you say to people who believe the current price level does not reflect fundamentals?” That is not the question I was answering when I made my remark about entitlement. Later in the interview, in fact, I said that I would be reluctant to buy at current prices for investment purposes. I would not be surprised by a large correction in the next year or two. I also would not be surprised if real prices are higher in 10 years than they are today. The question I was answering was closer to “what do you say to people who believe they are entitled to own a home?” I don’t recall the exact question, but my point was just that it is not the end of the world if some people are not able to buy (as opposed to rent) the home in which they want to live. Should the government take steps to promote greater housing supply? That’s an interesting question, but not the one I was answering. I would be delighted to discuss further. Tom Davidoff of the UBC Sauder School of Business said that young Vancouver couples simply don’t have a right to own a home in the city they grew up in. “There’s not going to be any free lunch in Vancouver. There’s no entitlement to own a nice home in the most beautiful place on earth. So I think people need to be prepared just to accept that reality,” he said. The economic reality adds up to a growing sense of frustration and hopelessness for an entire generation of Canadians. On the upside, Davidoff said that renting isn’t the end of the world in this expensive housing market. I think you can see how this reads. If this doesn’t reflect what you said to CTV, and is substantially different from your main position on Vancouver RE, get in touch with CTV and tell them to change that. This is a risk one takes speaking to the media. You could insist that you refuse to be quoted out of context, without an opportunity to state your full position. Those aspects of your position may come as a surprise to many CTV readers/viewers. If you like, I can post the e-mail that you sent me at the blog, by way of your explanation of your position. Or you could post it yourself as a comment. Better still, why not lay out your entire opinion on the Vancouver RE market unambiguously, and I’d be happy to headline that as a new and separate post. That would be the best way of clarifying your position. By way of clarification, I’ll post our e-mail exchange. Derek Atkinson, a 28-year-old university educated dad who lives in Burnaby, said he has a bleak outlook when it comes to buying a home. “It’s something that is getting closer to being a pipe dream than any sort of reality,” he said. With a combined income of $92,000, he and his wife could qualify for a $500,000 mortgage. But Atkinson said the minimum $25,000 down payment is too rich for him and his young family. “We’d have to save up for at least five, six years just to get a decent down payment…and that’s really frustrating,” he said. The average B.C. couple only makes $66,700, enough to qualify for just a $300,000 mortgage. A November search of the residential real estate listings in Metro Vancouver (MLS) turned up only seven two-bedroom properties in that price range. Dan, writing in the comments below, asks “Can someone explain what Prof. Davidoff said that was so objectionable?” and then segues to talk of a speculative bubble (which Davidoff did not mention) and asks “What’s so terrible about renting?” (Davidoff did end up mentioning renting, but that was not the statement he made that has been objected to). We’ll share our response to Dan’s question here. Davidoff said: “There’s not going to be any free lunch in Vancouver. There’s no entitlement to own a nice home in the most beautiful place on earth. So I think people need to be prepared just to accept that reality”. Young couples (or any other prospective buyers) point out that housing prices are extremely overextended in Vancouver. Davidoff’s fallacious implications are a straw-man argument; they have the effect, by design or otherwise, of dismissing the prospective buyers’ initial (and very valid observation): Housing prices in Vancouver are very overextended. Davidoff is supposedly an academic with, we’d imagine, some claim to expertise in the area of housing markets. Are there no sensible academics in this business school that can do back of the napkin math? ‘The Economist’ has just published an article implying that Canadian housing is overvalued by at least 25% (A remarkable 71% as determined by rental rates). Numerous other respectable commentators have pointed out the unsustainable housing valuations in Vancouver. Has anybody seen any commentary from anybody at UBC’s Sauder ‘School of Business’ that in any way attempts to discuss or analyze these arguments? When the speculative mania in Vancouver RE collapses, it will be remarkable to look back and see how deficient local economists and financial commentators have been for not warning about this obvious bubble. The fact that Davidoff even threw in “the most beautiful place on earth” canard just makes his statement that much more pathetic. Have any of you studied anything about ‘speculative manias’? Is the 2011 Vancouver housing market not a wonderful, soaring example of such a beast? What are you telling students who ask such a question? Following up on our recent post, ‘UBC Staff And Faculty Housing Demand Study’ [VREAA 19 Sep 2011], here below is a series of first- and second-hand personal anecdotes excerpted from UBC faculty and staff comments posted at ubc.ca 27 Sep – 3 Oct 2011 as part of a discussion UBC is encouraging in order to develop a ‘Housing Action Plan’. [Many thanks to David for forwarding us the link]. It is perhaps remarkable that not one of the discussants appears to address the giant over-arching truth: that a speculative mania in housing is the cause of the problem. On the contrary, many of the posters explicitly state the belief that local housing prices can do no other than power forever upwards. Once the housing bubble is recognized for what it is, it follows that only with an implosion of that bubble will any housing challenges be meaningfully addressable. Housing in Vancouver is currently two to three times overvalued, as determined by fundamental measures such as incomes, rents, and GDP. The mania will end, as all manias do, with substantial price drops. This will likely occur not as a result of policy changes, but as a result of market dynamics. Indeed, such an implosion may have already begun. Under the shadow of this mania, the vast majority of ‘affordable housing’ plans in Vancouver are akin to rearranging the proverbial deck-chairs on the Titanic; to blowing into a hurricane. Any such plans will be incapable of addressing the powerful negative forces of the mania. Getting 10% or 15% assistance purchasing extremely overpriced RE still results in it being very, very overpriced. The coming Vancouver RE price deflation will go a long way to solving Vancouver’s (and UBC’s) housing challenges. Imagine how different the UBC discussion will be when prices are 50% lower. Or even lower than that. Yes, there will still be a need for sensible policy about campus housing, and perhaps a need for housing assistance plans to attract desirable faculty, but housing would no longer sit centre-stage, where it is now, and where it certainly doesn’t belong. Granted, a real estate price crash will at the same time result in other significant problems for Vancouverites, many of whom are over-invested in RE. Our local economy will suffer greatly, as it has become sorely over-dependent on activity related to real estate. This is, unfortunately, what happens when a massive speculative mania plays out. It’s baked into the cake. UBC has, of course, been an eager bubble participant, via large for-profit RE development projects. While showing concern about the cost of housing, the university, ironically, also has an economic stake in the bubble being sustained. This is why we haven’t seen (and don’t expect to see) strong statements truly critical of the status quo coming from within UBC itself. Regardless, the personal stories below are noteworthy, and the detrimental effect that the housing mania is having on academic endeavours is apparent. As an Assistant Professor that was recently recruited to the University, I feel like I have no hope of supporting a family and purchasing a house in Vancouver. I lose a great deal of sleep over trying to make ends meet in Vancouver and I feel this is holding me back from making research and education advances at UBC. I believe housing is only a symptom of a systemic problem at UBC: very poor support of young academic faculty. Very recently, I lost a dear and outstanding colleague to Oxford. He confided that one of the main reasons for him moving was that Oxford offered him the opportunity to own a home near his work (The university partners with faculty to ensure they can own a place near campus). In Vancouver, he could not see how he would ever afford a place for his family, including a newborn. I too am about to start a family. I have been incredibly worried about moving from my small apartment to a bigger place. Paging through the real estate ads is depressing. It is clear that my salary and consulting fees are simply not enough. In this sense, it is heart warming to read about colleagues with the same concerns and about UBC leaders trying to alleviate the problem. If I had known about the future housing situation back in 2004 when I was hired, I would have probably reconsidered my decision to come to UBC. 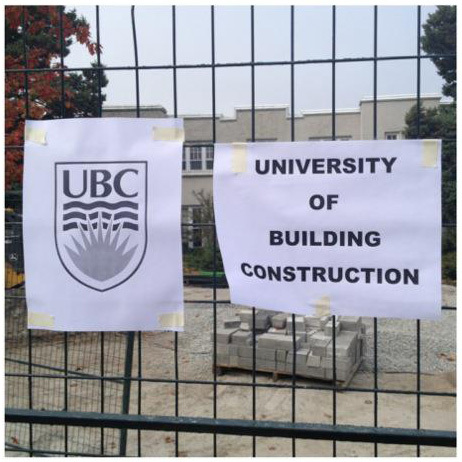 – L. Van Waerbeke, Faculty of Science, [September 30, 2011 at 10:45 am], who also suggests “create a parallel UBC housing market where sells/buys can only happen between UBC employees”. I live in East Vancouver and I could drive out to Tsawwassen in less time than it takes for me to creep west in my morning bumper-to-bumper convoy of the damned. My salary is competitive compared to performing a similar job at a non-profit or charity but Vancouver is just too expensive. As a staff member with two young children I have been despairing for a while. My paycheque after deductions covers rent and both kids at UBC daycare ($1300 for 3-days/week) I am left with a couple of hundred dollars each month to pay for rising costs of food, clothing, vehicle expenses etc. We’re just able to make it with my wife’s part-time, self-employed income but if she doesn’t work (as happened this summer) we’re running up the line of credit with the bank just to keep food on the table. As rents have risen and our family has grown we have moved further and further east. We rent a small, run down 2-BR East Van bungalow for a bit less than what a 2-BR apartment would go for on campus. We have privacy, space and a nice vegetable garden in the yard but it means I spend at least two hours on bike or bus each day commuting instead of with my family. As long as UBC’s definition of affordable housing is slightly below west side of Vancouver market rates, most staff will be shut out. When I moved to UBC, the faculty housing assistance was not sufficient for me to enter the housing market. The assistance options have improved slightly since then, but are only available within the first seven years, and I am no longer eligible. Meanwhile, the housing prices in Vancouver have become prohibitive, having doubled to tripled over this relatively short time. The UBC Village Gate Homes rentals on campus are very nice, and are extremely convenient, even though the rental rates are not really subsidized. We know several faculty whose behaviour changed dramatically once they moved off-campus. Owing to traffic and the loss of efficiency in terms of writing, they started coming in only 2 days a week. Gradually, they started avoiding students and meetings, the opposite of what they were doing for years when they lived on campus. The incentives became too strong. The situation also creates perverse incentives towards devoting more and more time to consulting and non-scholarly activities, or accepting visiting positions elsewhere, as soon as April comes along. Gradually, faculty who stay at UBC will find themselves becoming helicopter professors, dropping in for classes and crucial duties, and rushing off to earn money or do their long commute home. In sum, there are many benefits that are externalities and not integrated into the pure monetary equation. In our own case, we would like to move to a larger 3 bedroom unit on campus. But there are none available, for almost three years now. Rent, currently charged by UBC Properties is around 15-20% lower then market. Why not making it 40% lower, allowing families to live on campus and promote sustainability by reducing commutes for 4 people a day! Many of my colleagues who are since quite some time at UBC could buy into the market to relatively low prices and enjoy (nominal) windfall profits with which they leverage all kind of expenditures. People like me who only recently came to UBC are in a different situation and usually can’t afford buying a house, and yes, looking for locational options is always in our mind. I was disappointed when I tried to obtain rental accommodation on campus, because of the no-pets policy. There was not a single building on campus that would allow me to have my cat in the dwelling. This policy probably prevents many people from being able to live on campus, and I strongly suggest that it be changed. Pets are important in many people’s lives. I now finally have a house that I can afford…in Squamish. Arriving to UBC 2 years ago from the US we found the dip in the US market while price increase in Vancouver to be much more difficult that we initially thought. We were very frustrated from UBC policies that seem to encourage selling on-campus housing to retirees rather than to faculty. It seems that the current administration is thinking more about the short term profit than the longer term effect on UBC. I am hoping that this will change. We finally bought a nice house in east van. With the size of our mortgage, I will not retire before I’m 85. 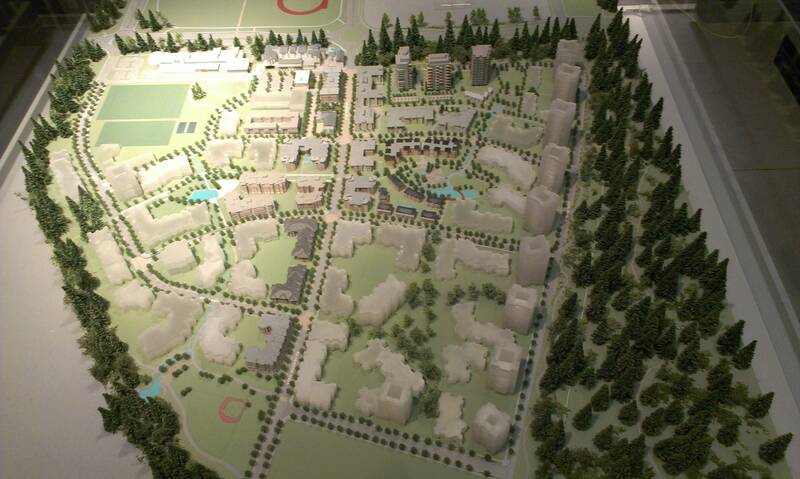 When I arrived at UBC from Stanford, the whole “University Town” plan was just starting. Given my experience with Stanford (similarly blessed with a large amount of extraordinarily valuable land in a very expensive real estate market), it was painfully obvious the plan was not in the long-term best interests of UBC. I do not fault the folks who pushed the “University Town” through, as UBC was desperately short of money, and they executed very well on a plan to convert UBC’s land wealth into endowment dollars. The failure, though, was a lack of long-term strategic vision, to see that buildable land at UBC was more vital to the University’s future, and faster appreciating, than financial assets in an endowment. As many previous contributors noted, the cost of housing in greater Vancouver will very likely continue to rise. 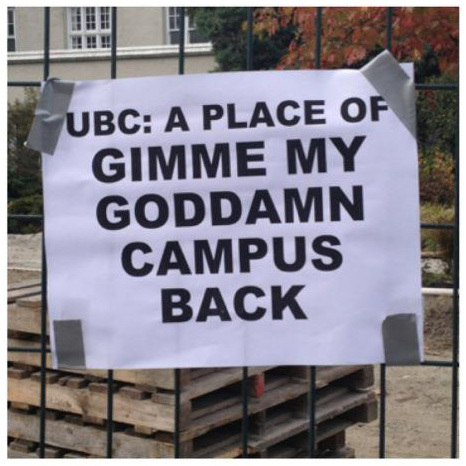 My frustration has grown since 2004, until I just decided to lose any hope that UBC Trust would care about people working on campus and any hope to ever own a place. There is only so far some one can go with the mounting frustration of seeing high end condos built on campus everywhere out of reach of a family of 4. Even the condos built for faculty/staff were unaffordable. Townhouses built for faculty/staff are now back on the market at more than a million dollars. I look at other options in other cities every year. At my salary, I would not have moved here if I had young kids at home because I would not have been able to provide them the same “home” facilities as I had in Ontario. Since my kids are all old now, moving to a condo made sense and made it possible financially but if I had a younger family, the discussion would have dramatically changed. There is a psychological factor that makes many professors bitter and angry with UBC. When a professor feels that after 20 years of service to UBC he/she is unable to buy a unit on campus but others who have nothing to do with UBC are; it is very demoralizing. I have been hearing that on a regular basis since joining UBC. Six years ago I … told the Provost at the time (Lorne Whitehead) that I was worried about UBC retaining many of the outstanding colleagues that had been hired over the past several years, and that I was particularly worried about Vancouver’s expensive housing market and the minimal assistance offered by the University (i.e., little more than covering closing costs). Owing to an even higher Vancouver real estate market, my worry is still there. Many colleagues that we’ve hired over the past decade are highly marketable and moveable. During the recruitment process housing or the lack of affordable housing is the number one issue. It is common to every single conversation that I had with all our candidates regardless of rank. In my experience, the affordability of housing comes up at some point in almost every faculty negotiation (recruitment and retention). In a couple of instances, housing was arguably the major reason a faculty member chose not to join UBC, or chose to leave. We have lost candidates due to the difference in housing costs with many other locations. In Vancouver, for a newcomer like me, it is very hard to accumulate enough funds for a reasonable mortgage within a reasonable amount of time not to be out-passed by the price increase. In the UBC area, I heard that two-bedroom units are currently worth about $0.7 million or more. … As a family of four, we found that it is very hard to find a townhouse unit or three-bedroom apartment, rented or owned, unless paying a very high price. Housing issues comprised the main reason that we lost an excellent prospective faculty member, Y. M., who we had made an offer to in computational applied math a couple of years ago. He liked the department a lot, but was not able to afford to get a place to live where he and his wife would be happy raising a family. They were priced out of the market. He went to U Minnesota instead. We lost out. As I had written to the BoG a few years ago, we almost lost another collegue to housing issues (D.C.). Somehow that catastrophe was averted at the last moment by the head’s work. I think you will find many such stories among recent hires (last 10 yrs) who left us due to the real estate woes, or candidates we wanted to attract who took a look at the housing prices and voted with their feet. First a theorem: Due to a large influx of immigrants who desire to live in Vancouver, the housing price in Vancouver will grow beyond the reach of a new faculty with regular salary. 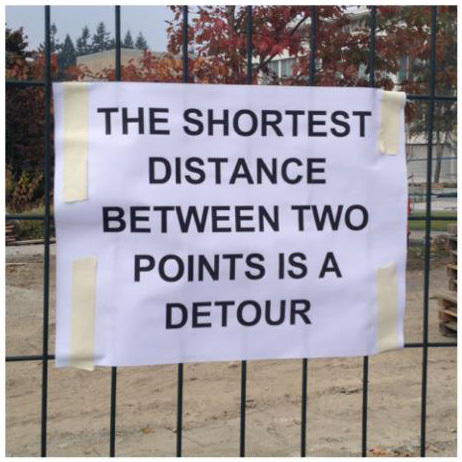 This will soon become an obstacle for UBC to hire new faculty. After 16 years at UBC, I’m still living in 540 square feet. 2003 arrive UBC. 2004 look for a house. Kid #1 arrives; decide to rent for a bit longer and save $ for better place than we could afford at that time. 2004-2008 cost of acceptable house to purchase increases faster than our ability to pay. Period of frustration at that time. 2008 investigate positions elsewhere. Obtain great offers. Nearly leave. Stay at UBC after competitive retention raise is offered. 2010 buy house (nice place near Fraser street). Notably just barely within the “seven years at UBC” time limit on the housing assistance program.